As international pressure mounts on Israel the government assault on civil society is reaching new lows. Now it appears that the IDF and GSS [Shin Bet] are working in tandem with Im Tirzu, which over the weekend launched an unprecedented campaign reminiscent of Der Sturmer, against Prof. Naomi Chazan, President of the the New Israel fund. Here’s an excerpt from a report by Ben Caspit on Maariv’s website this morning. Im Tirtzu is now planning to launch a large public campaign, both against the New Israel Fund in general and personally against its head, Prof. Naomi Hazan. Dozens of movement activists demonstrated last night in front of Hazan’s house dressed up as Hamas activists and carryied signs thanking Hazan and the fund. As far as we know Hazan herself is presently in the U.S.
Perhaps this helps explain why the Jerusalem police ignores the judiciary and the rule of law in its campaign to suppress dissent in Sheikh Jarrah. A Yedioth Ahronoth investigation reveals some very surprising facts concerning the funding of the new headquarters. According to our findings, only a small portion of the funding originates from the state. The bulk of the money comes from private organizations with a clear right wing orientation: the Bukhara Community Trust, and the Shalem Foundation — a subsidiary formed by the Jerusalem-based Elad NGO. On the hilltop stands a building, like a colonial palace in the Third World. Around it lie the barren pastures of the surrounding villages, a flock of sheep chewing the grass, and two Palestinian shepherds suspiciously eyeing the construction. A gazelle with sharp antlers, which finds itself on the road, gives a startled look and takes off. Welcome to the brand new Samaria and Judea District Police headquarters. The road ascends the hill, revealing the impressive infrastructure: straight terraces, gravel and limestone beds smoothed into the rock, traffic circles, safety railings, electricity poles and lights. Large signs on behalf of the nearby city of Maale Adumim direct the drivers to “Mevasseret Adumim,” a new neighborhood, which today remains on paper only. The establishment of the neighborhood was approved by the Sharon government in 2004, but was quickly brought to a halt due to American pressure. If established, it will contain 3,900 housing units. To date no approval has been given to begin construction. A new and broad bridge which is to link Maale Adumim with the new neighborhood has already been built. Today there is still no traffic allowed on it. The construction of the police headquarters began in 2005 and was completed in 2008. It was intended for an area known as E-1, which constitutes a bone of contention between Israel, the Palestinian Authority and the Americans. The construction of the police headquarters by the government was seen as a blatant violation of the political status quo, and sparked a wave of criticism. A petition filed by Palestinian residents and human rights organizations concerning the confiscation of land required for the construction, was dismissed. But this, it now seems, is only the tip of the iceberg. Israeli officials suspect that representatives of international organizations used their cars to bring millions of dollars into the Gaza Strip, taking advantage of their immunity. As a result, a decision has been made to intensify law enforcement regarding money laundering at the Erez border crossing in order to prevent the massive transfer of large amounts of cash to Gaza. Recently, the Customs Authority instituted an obligation to report any sum of money greater than NIS 90,000 that is brought into the Gaza Strip in order to prevent a situation in which some of the money aids terrorism. Because most of the people who enter Gaza by car through the Erez border crossing are diplomats and employees of international organizations, a multi-party discussion was held at the Foreign Ministry several days ago about how to minimize the chances of confrontations and diplomatic incidents. This week, the strategic department of the Foreign Ministry will convene all the foreign diplomats in order to receive a briefing from the ministry’s legal adviser about the new regulations. The legal adviser will explain the law, which views an amount of money divided among several vehicles as a single quantity, and will tell them that from now on, they have an obligation to report any amount greater than NIS 90,000. UPDATE: January 18 2010 — Broken link to recording fixed. Note that the only substantial question from the interviewer is about the danger of cancellation by the Iranians following the local media exposure. This report may come in handy for journalists when and if pressure builds for comprehensive trade sanctions. Glass houses and all that. Moshe Nestlebaum: Israeli Internet group Daronet has sold 70 trade and content systems to websites, including Tehran’s Chamber of Commerce. The million dollar deal was carried out by a company branch in Brussels. 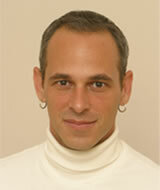 Our industry correspondent Shimon Vilnai reports. Shimon Vilnai: an Internet deal between Israel and Iran. Tehran’s District Chamber of Commerce bought 70 trade and content systems to build websites, developed by the Israeli group Daronet. The deal went through three weeks ago through a branch of the Israeli company in Brussels. With us is Daronet’s CFO Yaacov Harpaz. Yaacov Harpaz: the contract was signed with a European businessman from Holland, apparently a representative of the Tehran district Chamber of Commerce. We understood it was Iran when we were asked to convert our trade and content systems into Farsi. The Iranians paid a $200,000 advance on the product. The total value of the deal is about $1 million. It will be paid out in 10 payments in 2010. Shimon Vilnai: are you afraid the publicity on Israel radio will prevent the money from continuing to come in from Tehran? Yaacov Harpaz: not at all because it is a round-trip transaction through the European businessman I mentioned before whose head office is in Holland. Shimon Vilnai: in the last month Daronet has sold content systems for business websites to the chambers of commerce of Jordan and Oman. When the ambassador was finally asked to enter the room, his hosts instructed him to sit on a low couch opposite the higher chairs in which they were seated. 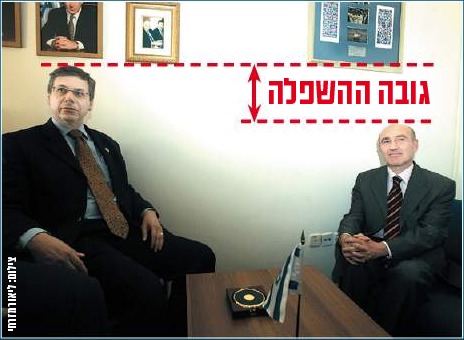 The hosts, Deputy Foreign Minister Danny Ayalon, Foreign Ministry Deputy Director General for Europe, Naor Gilon, and Ayalon’s office director, David Segal did not smile at their guest and refused to shake his hand. When the photographers suggested a handshake, the Foreign Ministry officials refused. “That is precisely the issue,” said Ayalon. Ayalon made sure that no one could have any doubts that the humiliation of the ambassador was anything but deliberate: “The important thing is that people see that he’s low and we’re high and that there is one flag here,” he said to the photographers. It may be, however, that the only appropriate response is satire. The course of action that was taken yesterday with the Turkish ambassador most probably will never be taught in schools for diplomacy. The ambassador was summoned to be reprimanded for a series that was broadcast on Turkish television. However, Foreign Ministry officials decided not to make do with a routine reprimand and added insult to the injury. It began with the fact that the meeting was not held in the Foreign Ministry building, as is the norm, but in Deputy Foreign Minister Danny Ayalon’s office in the Knesset, where Ayalon was spending the day because of no-confidence motions. Contrary to protocol, Ambassador Ahmet Oguz Celikkol was forced to wait in the corridor for a number of minutes while Foreign Ministry officials set up the deputy minister’s office for the meeting. The Foreign Ministry officials, who noticed that Ayalon’s office staff had set out refreshments for the meeting, asked that the refreshments be removed from the table. When the ambassador was finally asked to enter the room, his hosts instructed him to sit on a low couch opposite the higher chairs in which they were seated. The hosts, Deputy Foreign Minister Danny Ayalon, Foreign Ministry Deputy Director General for Europe, Naor Gilon, and Ayalon’s office director, David Segal—did not smile at their guest and refused to shake his hand. When the photographers suggested a handshake, the Foreign Ministry officials refused. “That is precisely the issue,” said Ayalon. Ayalon made sure that no one could have any doubts that the humiliation of the ambassador was anything but deliberate: “The important thing is that people see that he’s low and we’re high and that there is one flag here,” he said to the photographers.